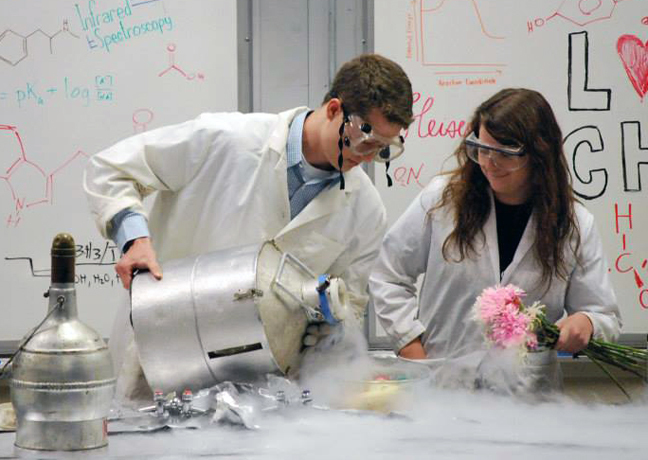 The Student Members of the American Chemical Society (SMACS) are the University of Arizona's student chapter of the ACS. We are an outreach-based organization with the goal of sharing our passion for science with the Tucson community. 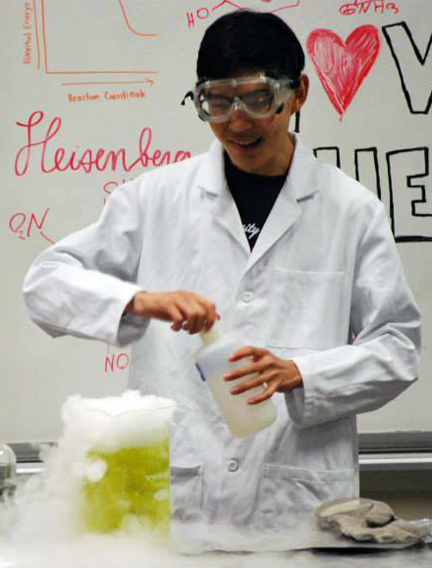 We regularly travel to local schools to perform Chemistry "Magic" Shows to engage children with science. We work with Women in Science and Engineering (WISE) and the Girl Scouts in particular to get young girls excited about science to help change the male-dominating demographic in STEM fields. Another passion of ours is Green Chemistry and to this end we strive to make all of our demonstrations and activities "green" and volunteer to sort hazardous waste as a club once a month to prevent landfill contamination. We also host faculty and industry speakers at our club meetings to facilitate professional development by helping club members find research positions and explore potential career paths. Our heavy involvement in the community and often hectic club calendar has helped club members foster close friendships and personal relationships which have the opportunity to grow at our weekly club dinners and numerous social events. 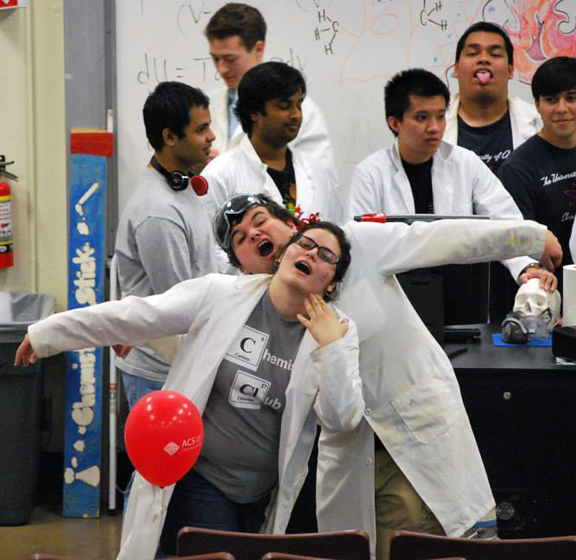 We are a hard-working and dedicated group of students who love science and serving the Tucson community, and we have a lot of fun doing it!